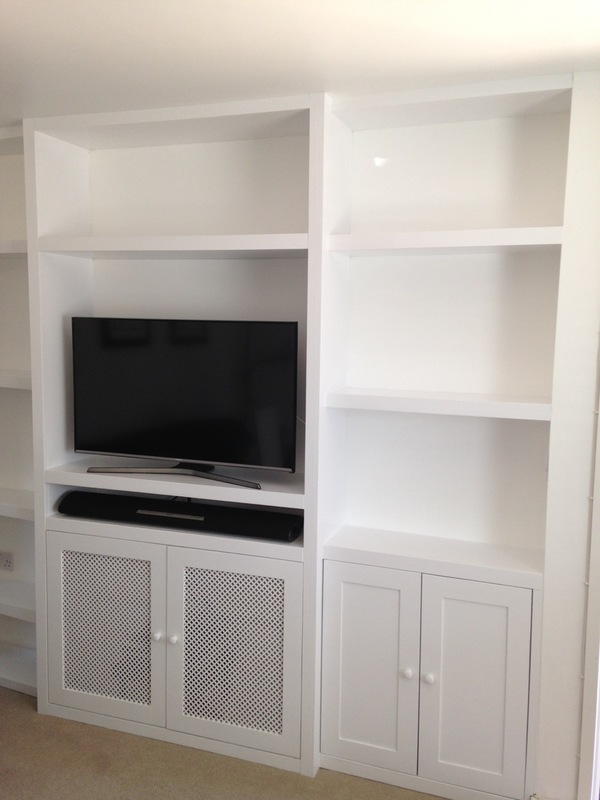 The brief from the client was to build a media unit to house a TV , set top box and room around it to display other items. 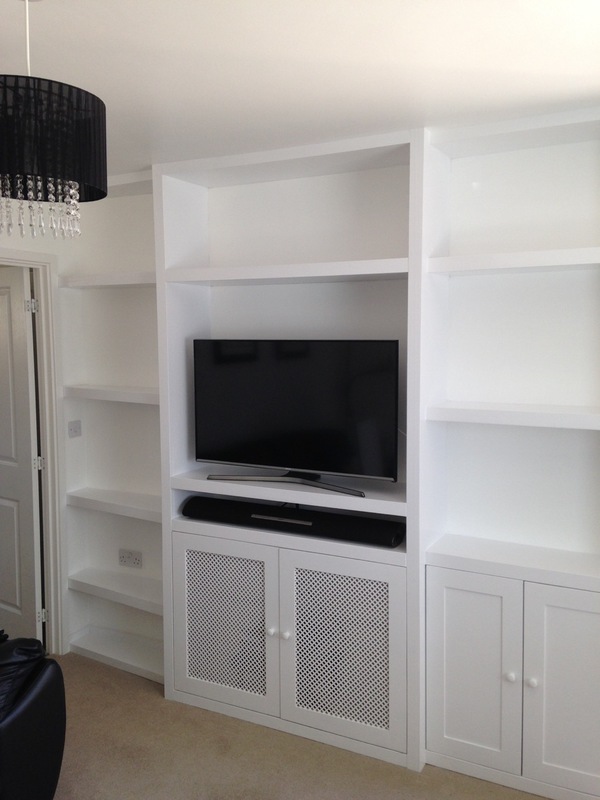 To be finished in a satin white paint to blend in with the existing paint finish in the property. Following a discussion with the customer and being shown some similar ideas that had been the inspiration, I designed a piece that met the above criteria. Once I had approval for the project to begin I could begin the manufacturing process, getting as much of the project pre-cut to size in the workshop before taking it to be fitted. Some panels required scribing to fit around the irregularities in the wall. I found Adam on the Internet and after reading some of his reviews I decided to email to him to see if he would quote for a floor to ceiling TV/ bookshelf unit. He responded straightaway and came to measure up a few days later. He was very attentive to what I wanted and came up with a solution to the issue with my oddly sized walls and left with a drawing that I scribbled together of my must haves. Quote received soon after and job booked in.